STOCKTON, CA (SNN) – The City of Stockton, California, the historic home of the first Gurdwara Sahib in the United States, and notable headquarters of the Ghadar Movement, for a second time officially recognized the 1984 Government perpetuated anti-Sikh violence in India as ?genocide.? The honorable Mayor of Stockton, Anthony Silva, along with the City council members Christina Fugazi , Elbert Holman, Susan Lofthus, Michael Tubbs, Daniel Wright, and Michael Blower approved the resolution from the City of Stockton stating that ?the City of Stockton is in support of this resolution to recognize the intentional, deliberate and systematic killing of Sikhs in India during November 1984 as “Genocide” as defined under the laws of the United States and UN Convention.? 1. Recognizes that November 1984 violence against Sikh lives, properties and places of worship throughout India, was carried out with intent to destroy the Sikh community and was thus “Genocide” as defined under the laws of the United States and the U.N. Genocide Convention of 1948. 2. Calls upon Barack Obama, the President of the United States and the Congress to recognize anti-Sikh violence of November 1984 as “Genocide”. In March of 2015, a proclamation with similar intent was approved by the Mayor of City of Stockton in the presence of the City Council and local Sikh community members. Several other California cities, including Bakersfield, and Kerman, also approved resolutions recognizing the 1984 anti-Sikh violence as ?genocide.? Moved by: Christina Fugazi , seconded by Michael Blower. Yes: Christina Fugazi , Elbert Holman, Susan Lofthus, Michael Tubbs, Anthony Silva, Daniel Wright, and Michael Blower. 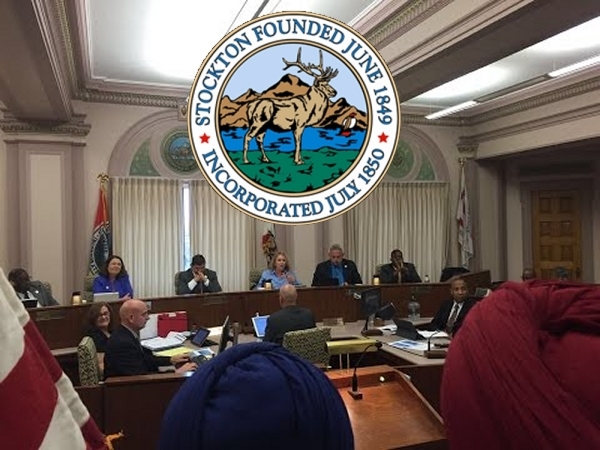 WHEREAS, the City of Stockton is in support of this resolution to recognize the intentional, deliberate and systematic killing of Sikhs in India during November 1984 as “Genocide” as defined under the laws of the United States and UN Convention. 1. WHEREAS, Sikhism is the world’s 5th largest religion with more than 26 million followers. 2. WHEREAS, in the aftermath of Indira Gandhi’s assassination on October 31, 1984, organized and systematic violence was carried out with the active connivance of the police and administration, against the Sikh population throughout India, with the intent to destroy the Sikh community. 3. WHEREAS, the violence against the Sikhs continued unabated for several days in more than 100 cities across India resulting in over 30,000 Sikhs killed; thousands of women raped; hundreds of Gurudwaras (Sikh Temples) burnt and more than 300,000 Sikhs displaced. 4. WHEREAS, in 2011, a mass Grave of Sikhs in village Hondh-Chillar, state of Haryana was unearthed which was followed by discovery of similar startling new evidence containing mass graves, ruined villages, burnt Gurudwaras and other traces of Sikh population annihilated during November 1984 in the sates of Haryana, West Bengal, Uttar Pradesh, and Jammu & Kashmir. 5. WHEREAS, since the perpetrators of the November 1984 Sikh Genocide were given impunity, in 2002 pogrom of Muslims was carried out in the state Gujarat and in 2008 hundreds of Churches were burnt and Christians were killed in the state of Orissa. 6. WHEREAS, the pattern of November 1984 genocidal violence against Sikhs has been allowed to perpetuate itself and has now become the part of the Indian system. 7. WHEREAS, under the laws of the United States and U.N Genocide Convention, genocide is defined as “attack with an intent to destroy in whole or in part, a religious or ethnic community”. 8. WHEREAS, Section 1091 of 18 U.S.C and “Genocide Accountability Act of 2007” make the crime of Genocide committed anywhere and anytime, punishable by the United States Courts.